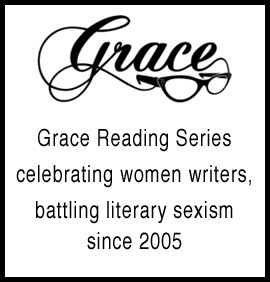 I created and directed a number of monthly readings series to celebrate women writers in New York from 2003 to 2008. The idea was to create visibility as well as a space to counter the exclusion of women from literary bylines, jobs, and other positions of power. So many wonderful writers joined us. One of these days I will dig into the archives and make a complete list, but some of the women who participated in the series I created included Jill Soloway, Amy Poehler, Molly Shannon, Marjane Satrapi, Holiday Reinhorn, Ducky Doolittle, Ann Powers, Curtis Sittenfeld, Darcy Steinke, Rene Steinke, Phoebe Gloeckner, Ariel Bordeaux and so many more. ©2014 Demimonde Books LLC. OnHealthy Blog Agent Venus℠ and Goddess Intervention℠ are trademarks of Elizabeth Merrick and Demimonde Books LLC.